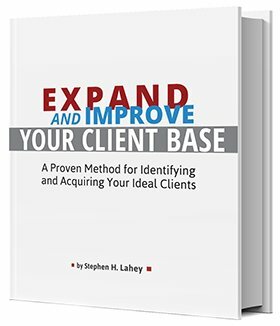 [Legacy post: Small Business Talent] Brian Shea helps solopreneurs and small professional services firms to put sales and marketing systems in place and efficiently acquire more clients. I’m pleased to have him join us on the podcast today to discuss his approach to building a simpler and more successful business. Brian founded his firm, Shea Consulting, in 2012. His specialty is assisting clients with CRM and marketing automation to eliminate manual, repetitive tasks and amplify their sales and marketing results. In today’s content-rich interview, Brian shares tips from his free ebook: The Time to Grow: Four Paths to Simplifying & Growing Your Business. His goal? To help you save time, reduce stress, and increase your revenue. Scroll down to the Podcast Player and listen now!